Bathe in thermal bliss and spend afternoons discovering remote islands and traditional villages. Filled with activities for the adventure-seeker and the quiet observer, Fiji offers boundless opportunities for relaxation and exploration. 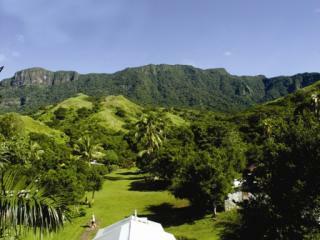 Learn to cook Fijian cuisine with local experts and head off-road on a thrilling cave safari. However you wish to experience Fiji, there's a tour designed for you. Tours and cruises are a great way to fully explore Fiji and see the island at its best. There are many options to choose from including scenic coach rides through the main towns, cruising the rivers in longboats and bamboo rafts, 4WD treks through cane fields, guided village tours and swimming expeditions to local watering holes. Most tours include refreshments and are the best way to see the traditional Fijian way of life. What better way to discover the islands of Fiji than by waking up in a new destination every day? Cruise the tropical island clusters and marvel at their diverse landscapes which range from volcanic outcrops to coral atolls. Off the coast of Viti Levu, Fiji's main island and north northwest of Nadi lie the Mamanuca and Yasawa Island groups, Fiji's most popular islands to cruise. With some of the best golf courses in the world and certainly some of the most beautiful, golf is a popular recreation activity in Fiji. A range of excellent courses with quality facilities cater for beginners all the way through to championship players. 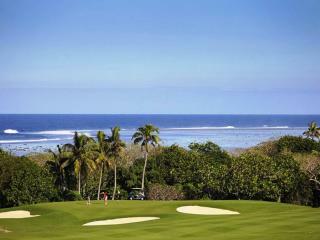 Courses vary in difficulty and skill level with the Sheraton Fiji Resort's course renowned for its challenging water hazards which feature on 15 of its 18 holes. The unspoilt paradise of Fiji is renowned for its crystal waters ideal for snorkelling and diving. With a range of friendly and professional PADI staff, each dive is unique and equally rewarding. Discover the colourful coral reefs and vibrant tropical fish as well as a host of other marine life. The private, intimate atmosphere and warm balmy climate as well as the spectacular sunsets have made Fiji a popular destination for weddings, honeymoons and romantic escapes for years. With a range of packages available to make your special day extra special, all marriages in Fiji are legal and binding. 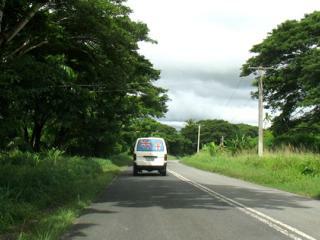 If you'd prefer to explore Fiji off the beaten track and at your own pace then car rental is the way to go. Avis Rental Cars are Fiji's leading car rental service provider and offer 8 convenient locations around Viti Levu. The office located at Nadi's International Airport operates 24 hours a day to ensure the staff fit in with your holiday plans.